Quality control issues have plagued the young carmaker. Both the Wall Street Journal and Consumer Reports lambasted the Model X, and many electric motors in early Model S sedans appeared unable to last more than 60,000 miles. What Ars Technica and other publications have failed to do, however, is put the Tesla recall into context. According to a 2016 U.S. News article titled, “The Biggest Car Recalls in History,” such context is provided. Not only have other car manufacturers faced recalls many times larger (with millions of cars recalled at a time), the largest recall in automotive manufacturing history involved faulty parts used by multiple auto companies supplied by a third-party company, not unlike Tesla’s current recall. More than two dozen automakers were forced to recall close to 70 million vehicles in the biggest auto recall in U.S. history after receiving reports of a defect in airbags from Japanese supplier Takata. Honda recalled the most vehicles – more than six million – but Toyota, Fiat Chrysler, Nissan, Mazda, and others sent letters to owners while grappling with a supply shortage. However, as Ars Technica pointed out, Tesla is a “young automaker,” while other companies have been established for decades, facing multiple gargantuan recalls in their respective histories, and still facing them regularly despite what many analysts have claimed Tesla lacks, “experience” with quality control. Ars Technica does point out that Tesla owners are unphased by the recall, apparently immune to sensationalism dressed up as analysis. Tesla owners also appear capable of understanding the long-term value of both Tesla’s vehicles and the company itself. In terms of reliability, it seems recalls are simply a part of the auto industry. Tesla, which produces automobiles, is therefore bound to face its own series of recalls over the course of its doing business. What defines an auto company then, is not whether or not it experiences recalls, but how it handles them. 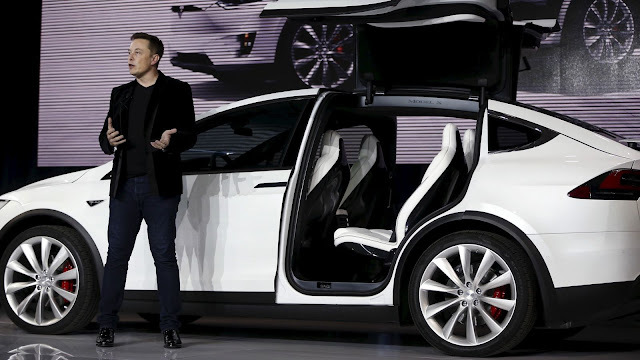 Tesla, voluntarily recalling the vehicles, has made the right decision. Compare that to established automakers like Ford which produced the Pinto in the 1970s, knowing it had a potentially fatal fuel system flaw, but after cost-benefit analysis decided settling potential lawsuits (including those involving deaths) would be cheaper overall than a voluntary recall. It’s no mystery why deep-pocketed, well-established car manufacturers are often excused from the table when talk of recalls focus on younger car companies. Many of the former have deep ties to both political and media friends, extending to them benefit of the doubt they do not otherwise deserve. For Tesla, the unprecedented customer base that it is building is due in part to its commitment to a wider vision than annual profits. Producing electric vehicles and an entirely alternative paradigm to the current auto industry is something people can get behind, especially for a company committed enough to voluntarily recall its vehicles when reliability issues are uncovered. Should Tesla continue to adhere to that vision and a strict sense of ethics underpinning it, it will continue to weather relative setbacks common to the rest of the auto industry.